Cyprian was born of well-to-do pagan parents, shortly after 200 A.D. in Carthage. He was trained in rhetoric and law, but found both pursuits unsatisfactory. He converted to Christianity in 248 A. D. becoming a bishop of the church until his martyrdom in 258 under the Emperor Valerian. He was an admitted admirer of Tertullian. Cyprian handled the controversy by calling a synod (a meeting of bishops). It is important to note from this crisis that the power of the bishop in the early centuries was quite significant. Basically Cyprian got what he wanted; and while the controversy was officially over, the schism lasted for some time afterward. Gonzalez points out that Cyprian's position on the lapsed was the result of his ecclesiology (The Story of Christianity, I, 89). Cyprian states, "The church is the Body of Christ, and will share in the victory of its Head." Therefore, "outside the church there is no salvation," and "no one can have God as Father who does not have the church as mother." 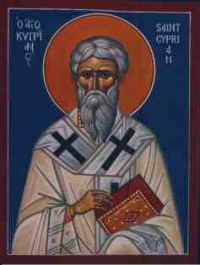 Cyprian believed that church unity was crucial and that the pre-emptive actions of the confessors threatened that unity. Finally, the question at the root of the debate concerning the lapsed was, "What should we do with the baptized who have sinned?" This is a still a question the church faces today in various forms. 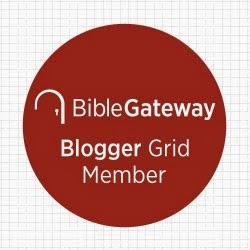 How does the church offer the kind of grace its Lord has offered, and yet admonish and counsel, in the context of that grace, all of its members with the very same words of Jesus, "Go and leave your life of sin? (John 8:11)."